Mecone achieved development approval within four months for one of the most prominent and exciting new projects in Sydney CBD which is set to become a benchmark development. Mecone lodged an application for this mixed use tower including flagship retail at the lower levels with 199 residential apartments across 32 storeys. The application was subject to a competitive design process with multiple architects. 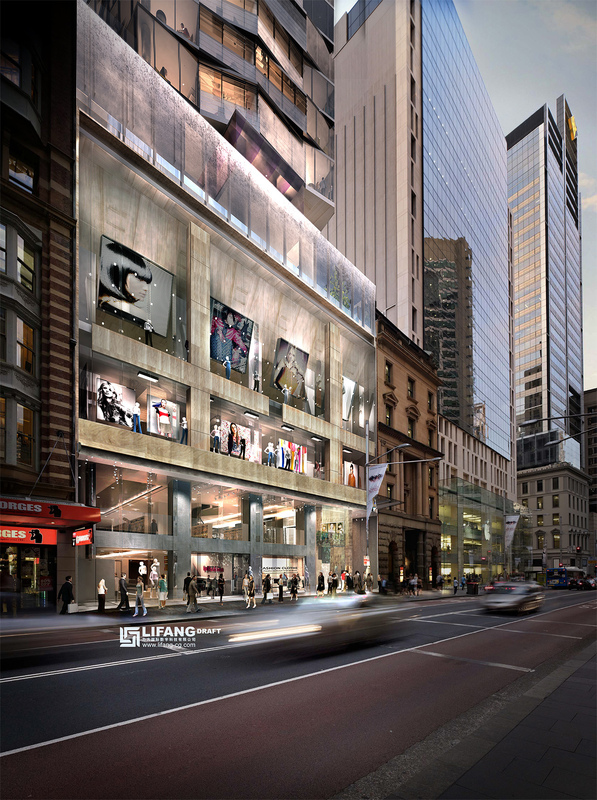 The development provides a unique transition between the modern aesthetics of the George Street façade and the heritage significance of York Street and contributes to the urban fabric of the locality by opening up a previously underutilised and rarely seen heritage courtyard. The building is targeting 5 star Green Star and 4.5 star NABERS energy rating, ensuring reduced operating costs and minimised environmental impacts. Lodgement of the application and management of the DA process. Image courtesy of John Wardle Architects.